The XT420 and XT460 are some of the worlds best loved two way radios. These devices can reach a massive 8km range dependent on the environment used in and are designed for continual use in commercial situations so they are perfect for business. Here at LRS UK we have supplied more Motorola XTN series portable two way handsets than near enough any other brand so you can be sure this brand is tried and trusted in the UK and we can supply at the lowest cost available from any company. In fact these are some of the most robust units available. 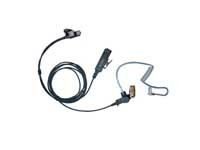 All accessories and microphones are also available from LRS UK. New online now: TWOWAYRADIOSUK.CO.UK and there are a tremendous number of wireless handsets available with accessories to match. This website has every handset we sell and even ATEX and all accessories. Operated by LRS UK. Below we examine the features of the XT420 and the XT460 see some of our handsets that we often supply. Basically the XT420 and the XT460 are license free in the UK. BOTH units have exactly the same features except that the XTNiD has a display which makes the unit easier to use. These radios have privacy codes, the benefit of channel scans, 8 channels and many other useful features. Pack includes: radio, rechargeable battery, drop in charger tray, power supply unit, belt clip. There are 8 channels with a range up to 9Km. There are sixteen pre set channels for ease of use and 122 Interference Eliminator codes. The Keypad lock is useful and the cast metal chassis extends life of the product. Belt clip included and Tri Colour LED as standard (on the XT460). Sixteen channel select knob including a volume control. Scan feature and VoX with accessory, iVoX without accessory. There is a Voice scrambling ability on the radio. Nuisance delete and Cloning (via charger or MUC). Automatic power save and a programming mode. Time out timer (this can be disabled) Alerts: Channel Busy/Heartbeat/ Transmit LED Low battery alert (audible). 3 call tones (+ off). All easily controllable. We can advise all customers regarding Ofcom Licensing for the UK and can apply for licensing on your behalf. Licenses typically cost approximately £75.00 plus VAT for a five year license. If you are offered a lower period than five years for £75.00 then be very careful because those are not standard licenses. We sell and stock a wide range of accessories for all Motorola radios.